Your loved ones in spirit, as well as your ancestors, may reach out from the spirit realm, to make contact with you. Spirits may do this because they want to, let you know that you’re loved, and that they are safe and well, in the spirit realm. Sometimes, your deceased loved ones may have pertinent guidance for you, to help you overcome life’s challenges, and make progress on your personal life journey. 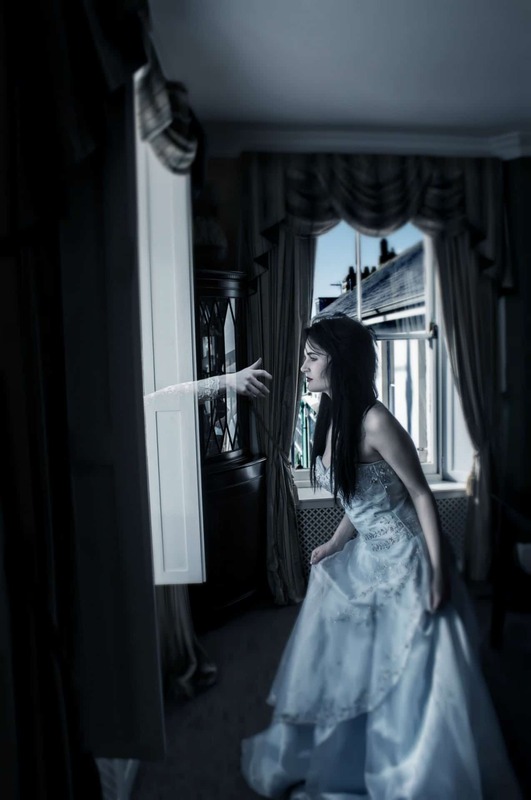 If you do sense or feel a spirit reaching out, and trying to get your attention, it is most likely for a reason, as making contact like this takes a lot of energy and focus on the part of a Spirit. The spirits of the deceased will carry the dominant vibration of their physical life into the spirit world. A person who was irritable and angry when they were alive, or who died from an illness, will have that energy in their vibrational field, until it is healed during their time in spirit. While this does not mean you shouldn’t acknowledge their presence, or listen to the messages they transmit to you, it does mean you need to set boundaries. Do not allow the spirits of the deceased into your energy field, as this can lower your vibration, and make it possible for you to manifest other lower vibrational entities. There are also spirits who exist between the physical and spiritual realm; their very presence is dense, and they can drain your energy, making you feel uncomfortable. These earthbound spirits obtain their energy from the physical realm, by consciously, or unconsciously draining the living, instead of creating a direct link with the Source. A simple solution for these earthbound spirits, ghosts, or attachments who obtain their energy from you, instead of the Source, is to call upon the Archangel Michael for protection, and the Archangel Azrael, and Jesus Christ, to assist then in crossing over into the Light. Call in the angels, speak directly to the earthbound spirit, and say, “look up, and release yourself into the Light”. Communication from spirits is suually subtle; they have no need for verbal language, so their messages might be conveyed by a feeling, an impression, a sign, or an image, or, there may be a telepathic communication. To help you decode your experience, here are the four the most common signs from spirits. The dream realm is probably the most common way for a spirit to make contact. While in the dream world, you’re naturally within the spiritual realm, so it’s easier for spirits to reach you, and interact. Keep a dream journal, and pay attention to the any symbols, themes, and the emotions in your dreams, to get an idea of the messages any spirits are attempting to communicate. Spirits are able to send all kinds of signs. Some are obvious, some subtle, but all are aimed at making you aware of their presence. For example, have you been seeing your mother’s favorite color everywhere, or maybe a symbol or a number, which reminds you of your deceased loved one? This may be them trying to make you aware of their presence. Animals, birds, or butterflies may act strangely if a spirit is present, or they may suddenly appear at a meaningful time, this can also be a sign from a spirit. Spirits can trigger your phone to ring, and when you answer, no one is there, or, they may cause radios, TV’s and lights to turn on or off, or to flicker without an explanation. It may be nothing, but if it’s combined that with a strong feeling that a spirit is near, it’s an indication it’s a sign from a spirit. Your intuitive and psychic senses by themselves, and combined with the above signs, is the essential way to experience the presence of a spirit, and to validate the signs you’ve experienced. Seeing your mother’s favorite color is one thing, but sensing, and knowing, she is with you is the extra validation that you’re experiencing is real. Scent is often used by spirits as a way to alert us of their presence, and that their spirit lives on. Did your loved one smoke, and you keep smelling their cigars, without an obvious source? These are the top four signs from spirits, but your loved ones may reach out to you in another way. With an awareness of the present moment, and by paying attention to your subtle senses, you will be able to affirm and validate what you’re experiencing spiritually. This entry was posted in Developing Psychic Intuition, Divination. Bookmark the permalink.